The Gareth Potts Monfort Pool Table is finally here! 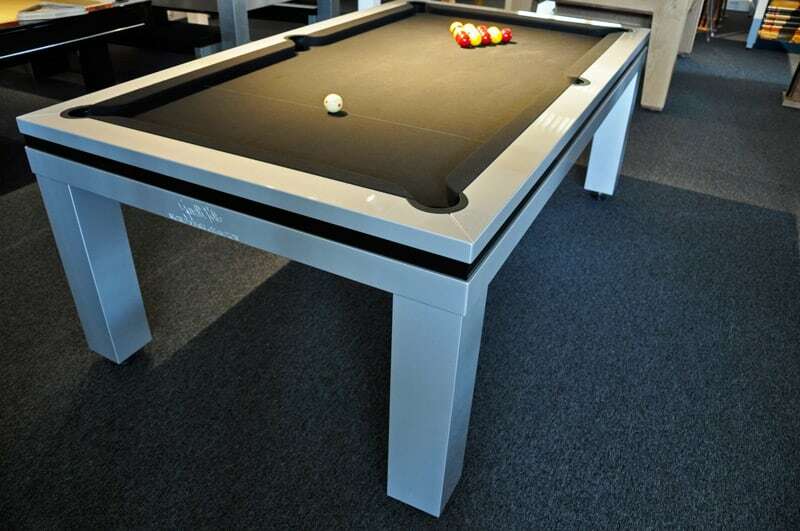 The table is designed by Gareth himself and manufactuered by one of the best manufactuers of pool tables in the world, Billiards Montfort. We have a whole lot of Gareth goodness for you today in this blog post. Not only are we launching the Gareth Potts Montfort Pool Table but we are also launching our whole new coaching series with Gareth, Q&As from our social media channels and a two-part catch up with Gareth. Before we get into the whole thing, watch the official Gareth Potts Monfort Table launch video below. We invited Gareth Potts, four time World Champion Chinese 8-ball player who is proudly sponsored by us at Home Leisure Direct, to our showrooms in Bristol recently for a catch up with him. Before Gareth arrived in our showroom, we turned to our Facebook and Twitter followers to ask all of you what questions you would like to ask him during our Q&A session and we got some great questions to ask him. Our Q&A series includes seven quick fire questions from our followers that we asked Gareth in our interviews with him and we got some great responses from the man himself. 1. Would you ever be tempted to switch to 9-ball? 2. What is your highest break in snooker? 3. How often do you change your cue? 4. What do you practice in preparation for tournaments? 5. What practice routines are suitable for English and 8-ball pool? 6. Has going to the gym helped your pool game? 7. What’s your favourite book and why? One of our team members, Ben, took the time to interview Gareth and find out what he’s been up to since we last saw him a year ago. In our two catch up videos with him, he explains why Chinese 8-ball is so unique and how it incorporates elements from all cue sports, tells us about his trips to China, how he’s been filming, taking part in exhibitions, travelling to China up to ten times a year and also highlights the differences between Chinese 8-ball and English 8-ball. Two of our sales team members, Josh and Ben, even got the chance to be coached by Gareth himself whilst he was here, which they found really helpful. Although Gareth was extremely hard to beat, which is what you’d expect from a World Champion Chinese 8-ball player. The two videos of the coaching are focussed on how to improve your pool game through the use of various techniques and tips such as the best angle for the break, which end of the table to focus on, how to carry out a swerve shot and how to snooker someone. In all of these videos, Gareth plays on his Gareth Potts Montfort Pool Table, which is exclusively available with us at Home Leisure Direct. We will be staying in touch with Gareth and wish him the best of luck in his Chinese 8-ball career! The Gareth Potts Montfort table is 7 feet by 3.5 feet in dimensions. It is one of our exclusive tables, manufactured in France by Billiards Montfort. It is part of the Tradition Range series and is a more contemporary version of the series’ most popular table, the Montfort Lewis. Its sleek edges and sharp corners make it an elegant piece that looks great in any room of your house; yes, even the kitchen or dining area—the Gareth Potts Montfort comes with a 3-piece dining top that transforms your solid and stunning pool table into an equally impressive dining room table. The Gareth Potts Montfort table is identical to the original version except that the table is made from solid wood with a painted finish called H15 metal finish. This finish is similar to that of a stainless steel like finish. It comes with a black cloth with a black stripe around the edge of the table. The table also has Gareth's signature engraved into the side. The 4x World 8 Ball Champion won in the years 2005, 2007, 2008, and most recently in 2014. He was also the youngest professional ever when he won the Junior World 8 Ball Championship in 2000, he was ranked No. 1 in the IPA Tour from 2009 to 2012 (all four years! ), and he has been spending a lot of his time playing in China these days, winning the Chinese 8 Ball Masters Championship in both 2013 and 2014. Still, he has time to occasionally blog on his website—garethpotts.com—and keep his fans happy with pics and videos of what he’s been up to. You can also check out his biography on his site. On top of all that, he has offered his services to Home Leisure Direct as a teacher and as an exhibitionist. You can see him in action on our Gareth Potts channel as he teaches the secrets of playing pool with excellence. Yes, that is him teaching at our showroom with real customers of Home Leisure Direct. That means you have the opportunity to meet him in person if you take advantage of the package deals we are offering right now on our website. That’s right. Through Home Leisure Direct, you can get one-on-one teaching sessions with one of the greatest pool players in the world today. How can you say no to an offer like that? We have two options for lessons—the half day package (priced at £349) and the full day package (priced at £599). During your time with Gareth Potts, you will learn to play like a pro. Gareth Potts is an incredibly patient and flexible teacher. He can help you improve your game whether you are a beginner or fancy yourself an advanced player who just needs a few adjustments in specific areas of your game. Whatever your pool playing ability, Gareth Potts can cater to your every need. We guarantee that you will be satisfied with your time learning from the master. During your session, “The Golden Boy” can work with you on stance, cue action and gripping, breaking, advanced tactics with the cue ball, getting out of a snooker, further routines for you to practice on your own time, the necessary mental approach needed to play a great game, and working out any bad habits you may have picked up. If you decide to go with the full day package, you will also have the opportunity to eat with the champ and play a match of 13 frames with him in order to implement and practice everything he has taught you. Option #1: Gareth Potts is available for your company conference to talk about the psychology of winning, what he has learned from his own career experiences, and the mental training required to perform at one’s peak performance level. Furthermore, he can provide a Q&A session and even a chance for the entire company staff to challenge the world champion head to head. Option #2: As an exhibitionist, Gareth Potts is willing to take on one or many challengers for your viewing pleasure. The challengers can be anyone of your choice. Gareth Potts has participated in several of these types of events in the past. Option #3: Gareth Potts can also be hired as a guest speaker, as an awards presenter, or even as a teacher for your party or group. Having him at your party or meeting might just prove to be the highlight of the event. If you are interested in any of these packages, do not hesitate to contact Home Leisure Direct either by email (sales@homeleisuredirect.com) or by phone (0800 622 6464 or 01413636). We will work hard to set a date and time that work for you and for Gareth Potts, and we will make sure all of your requirements are met, including the use of one of our pool tables if you don’t have your own. 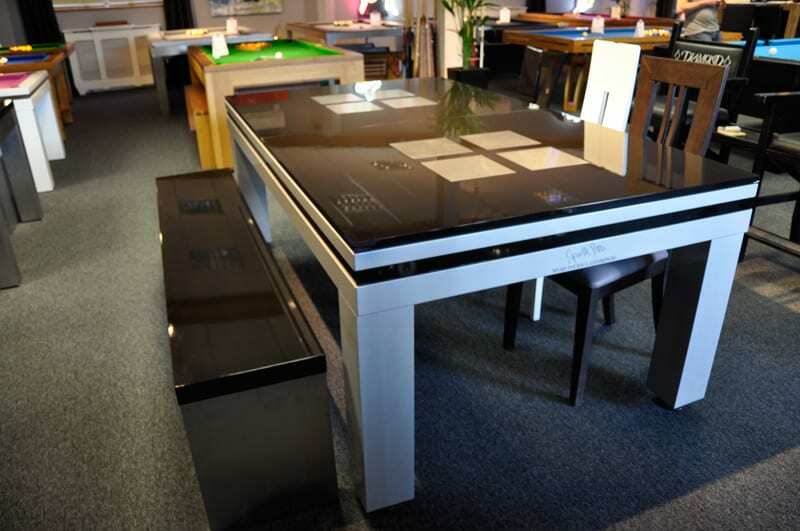 Whether you choose the Gareth Potts Montfort Lancaster pool table or one of the packages exclusively available at Home Leisure Direct, we are sure you will be happy with your purchase. These are excellent opportunities that you must take advantage of. Where else will you have the chance to meet a living legend like the 4x world champion? Nowhere else provides the deal we are offering to you. Seize this chance today.